Despite the prevalence of the mail in most people’s lives, mailing itself has for years been difficult and confusing to many. The updating, correcting, and sorting of name and address lists are an even greater mystery. This may explain why this function has remained in a dark corner of the shop, removed, ignored, dismissed from, and not engaged with other aspects of the printing business. We talk of “silos” in the printing industry; nowhere is that more true than when it comes to mailing. It may very well be in a real silo. Yet, in many cases the outcome of this little siloed department has the greatest impact on the total cost of a mail piece. The mailing or “list processing” department has been trapped not just in a silo, but in a 1980s silo. The last major technology leap was when a small company in Lacrosse, Wis., introduced the necessary tools to perform list processing on a PC. Today, the vast majority of PC- or server-based mailing software continues to be a standalone application, not integrated with any other business function. With the introduction of web-to-print, prepress workflow solutions, cloud-based MIS, online accounting, and other integrated solutions, companies are seeking the means to share and leverage data across a multitude of systems. Combine this with a decline in on-site information technology resources, and you have a situation where you need systems to communicate with each other—but no desire to maintain or pay for them. This is exactly where the cloud and cloud-based applications have gained their popularity. You can just push data from your legacy mailing software to some shared database, but you would be missing the point of two-way integration. In order to support the integration of your mailing, you need to allow a multitude of systems to push data to and from your mailing tools while maintaining uniformity, compliance, and security. Legacy mailing software hooks to web-to-print struggle with the ability to manage endless Process Acknowledgement Forms (PAF) for NCOALink, a secure dataset of permanent change-of-address (COA) records. Integration of USPS Intelligent Mail Barcode (IMB) uniqueness across integrated and traditional platforms often is impossible. The only way to move your list processing out of the back room—the silo—and integrate with other systems is through an umbrella approach with a provider of cloud-based mailing tools. The centralized and technologically unrestricted communication and integration from web-to-print, workflow, MIS, and accounting can keep you USPS-compliant, keep your Intelligent Mail Barcodes unique across all platforms, and keep your IT resources happy. 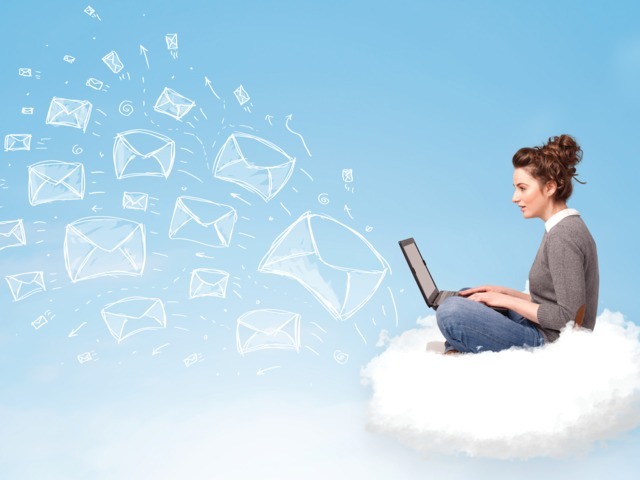 Integrations and the technology exist today to pull your mailing operation out of a silo and into the cloud. Scott Eganhouse is VP of Business Development for TEC Mailing Solutions. This article previously appeared in Printing News.